Florida’s Jacksonville Beach has a bit of history and the best way to learn about it is at the Beach Museum. The museum and outbuildings that go with it, like the beautiful Beaches Chapel in the photo is a nice walk from the historic Casa Marina Hotel where my friend Rose and I stayed during our visit. At the Beaches Museum where we had the unique opportunity to interview Maarten van de Guchte, Ph.D., the museum’s Executive Director. He told us about the Timucan Indians that had lived in Florida when Ponce de Leon the first European to set foot in the New World arrived. We heard about the French landing and setting up Fort Caroline and then how the Spanish came and destroyed the French settlement. The Spanish leader Pedro Menendez then went on to establish St. Augustine before the British arrived. The Spanish influence changed the face of Florida forever with the introduction of cattle and citrus. They raised sheep, pigs, ducks and cotton, sugar and indigo. Together the Indians, French, Spanish and British made northern Florida into a melting pot of culture and history. The arrival of the railroad then again changed the face of North Florida. It was this time period that much of the Beaches Museum focused on. Museum tour guide Holly Hamrick said that the depot on display was the Mayport Depot originally located a few blocks away. Inside the depot is Morse code machines, a message board that was held out for the engineers on the traveling train to see. The depot even sported an advanced intercom system. The museum post office was built in 1903. “Many of the early post offices had post mistresses,” Hamrick added. We were fascinated by the museum, the buildings and the history. If in Jacksonville Beach take time to stop by. 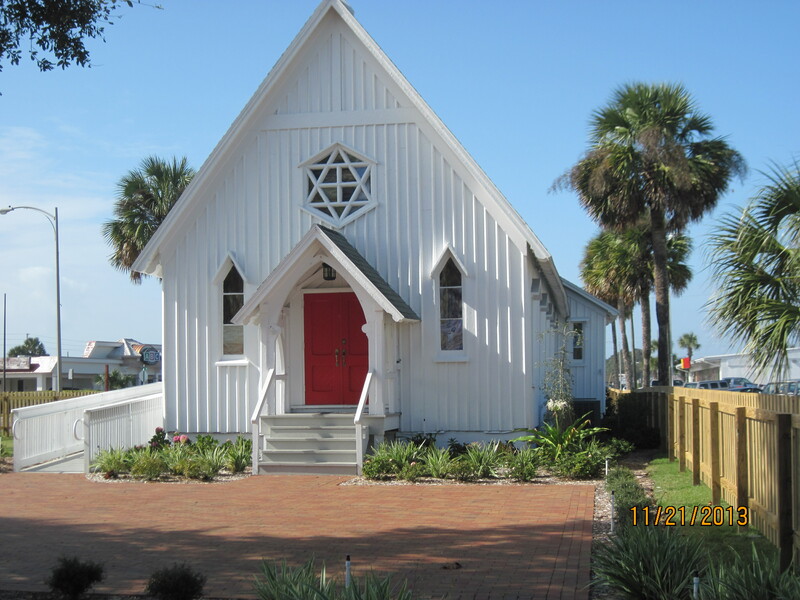 The museum is located at 381 Beach Boulevard, Jacksonville Beach, FL 32250. Call 904-241-5657 or log onto http://beachesmuseum.org/home.php for more information.